This delicate pendant celebrates nature. Intricate vines and leaves wrap around a 7mm faceted gemstone of your choice. Open and domed sterling silver pendant is 3/4 inch in diameter. A perfect compliment to vine and leaf rings and earrings. 18 inch sterling silver box chain included. 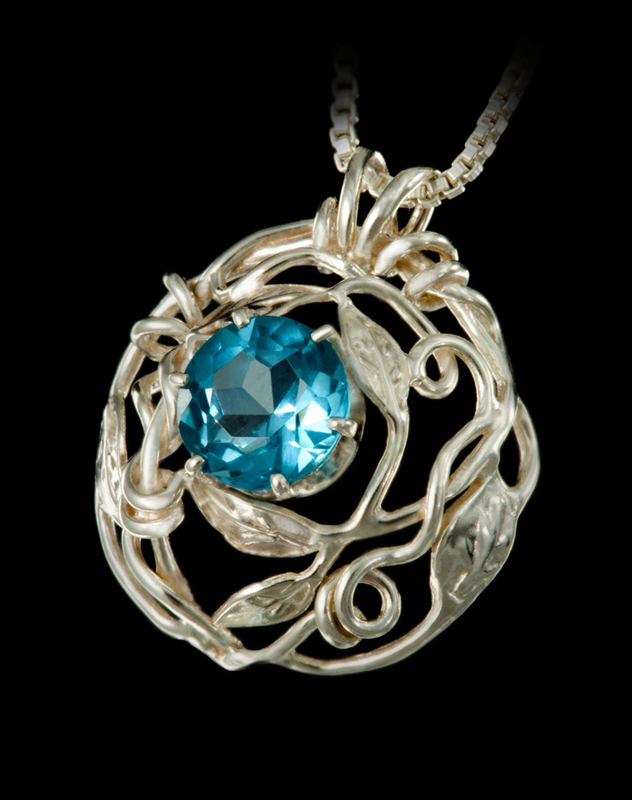 Pendant shown with Blue Topaz.